Florida’s Natural is a beverage company operated by a cooperative with more than 1,000 members. The company mainly produces orange juice for distribution and marketing in the United States. Before the foundation of the company came the creation of Florida’s Natural Growers Cooperative. Members of the organization were growers of citrus fruits who wanted to make the state of Florida become known as a producer of the best citrus products. The cooperative was created in 1933 and by 1938 the group owned its sectionizing plant. The Co-op, which was then named Florida Citrus Canners Cooperative, invested heavily in machinery in order implement an automated extraction of citrus juices. This innovation led to the introduction of canned fruit juice (orange). In the 1940s, because the United States Army was to be supplied with thousands of gallons of orange juice from Florida, the cooperative had to put up a juice concentrate plant in Lake Wales in order to meet the demand. By 1954, consumers had already discovered frozen juice concentrate and its convenience, leading to the growth in sales of orange juice concentrate. During this year, most oranges grown by the cooperative went into the production of frozen juice concentrate. In the 1960s, due to the increasing demand for chilled juices, producers of frozen citrus products also expanded their product lines to include refrigerated, paper-carton juices. By 1987, because the paper-carton premium citrus juices were becoming very popular, the cooperative finally started marketing its own paper-carton juice concentrate under the Florida’s Natural ® brand. Two years later, the company introduced its first non-orange juice, the Ruby Red Grapefruit juice. 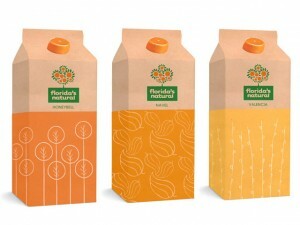 In 1990, Florida’s Natural introduced an innovation in paper-carton fruit juice packaging, the pour spout carton. This type of packaging provided consumers with more convenience and freshness in enjoying carton fruit juices. A year later, the company introduced another product in the market, Natural Style Apple Juice. In 1994, Florida’s® Natural not-from-concentrate juices became available in markets all over the United States. In the same year, the cooperative also introduced its not-from-concentrate orange-pineapple juice. In 1998, the group became known as Florida’s Natural Growers. Three years after, the group opened The Grove House Visitor Center. The establishment was put up for the purpose of educating people about the process of juice making and the cooperative’s rich history, as well. In 2007, the cooperative continued to improve its facilities with the installation of energy efficient solar panels. A year after, the cooperative celebrated its 75th year in the fruit juice business. Currently, Florida’s Natural Growers is one of the country’s biggest supplier of citrus juice products. MonaVie is an exquisite health drink, destined to make a profound difference in the lives of countless peoples of the world.The formulators of MonaVie, driven by a passion for helping humanity and bringing abundance into the lives of many, have created the consummate blend of 19 health-promoting fruits from the four corners of the earth.